Author/Opus: This is the 62nd puzzle from our contributing puzzlemaster John Bulten. Note: Follow this link for other classic Yajilin. 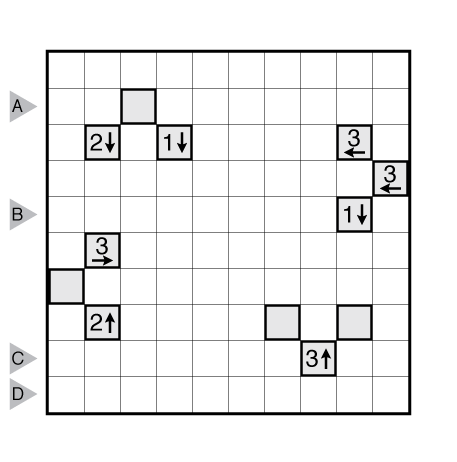 If you are new to this puzzle type, here are our easiest Yajilin to get started on. More Yajilin puzzles can be found in The Art of Puzzles 2, and in our beginner-friendly book Logic Puzzles 101. 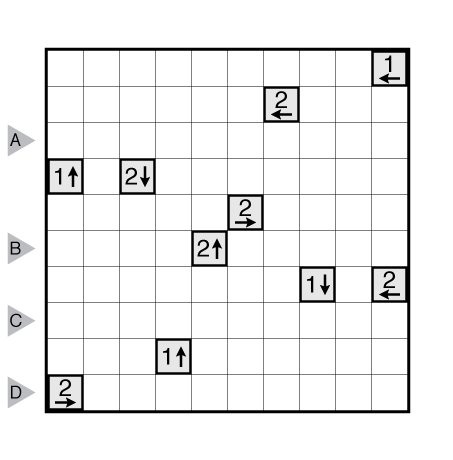 Author/Opus: This is the 242nd puzzle from our contributing puzzlemaster Serkan Yürekli. 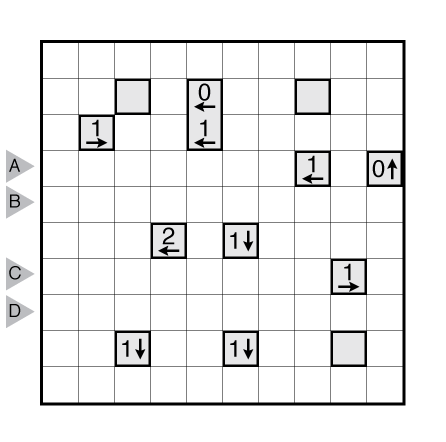 Rules: Standard Yajilin rules, except that instead of blackening single cells, blacken in dominoes (1×2 rectangles). 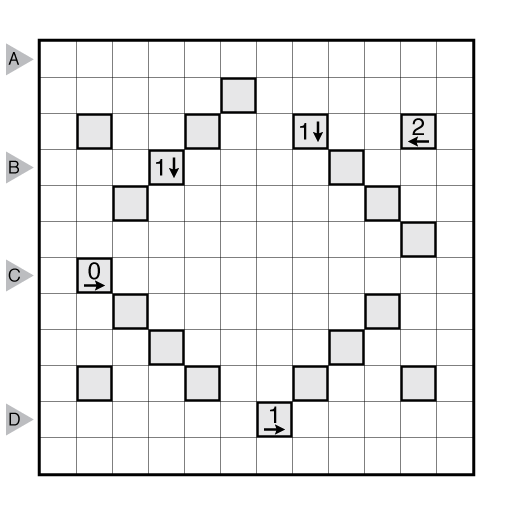 Clues indicate the total number of dominoes (not the total number of cells) that are shaded in the given direction. Note: Follow this link for other variations of Yajilin and this link for classic Yajilin. 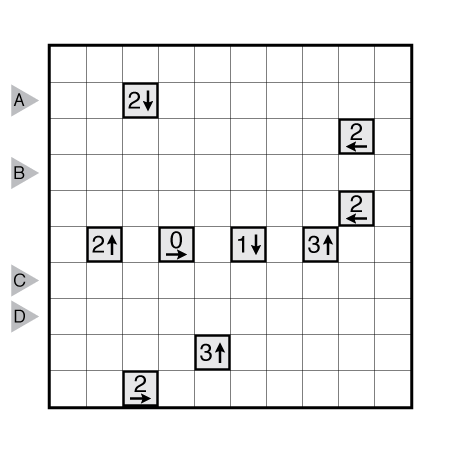 If you are new to this puzzle type, here are our easiest Yajilin to get started on. More Yajilin puzzles can be found in The Art of Puzzles 2. Author/Opus: This is the 128th puzzle from our contributing puzzlemaster Murat Can Tonta. 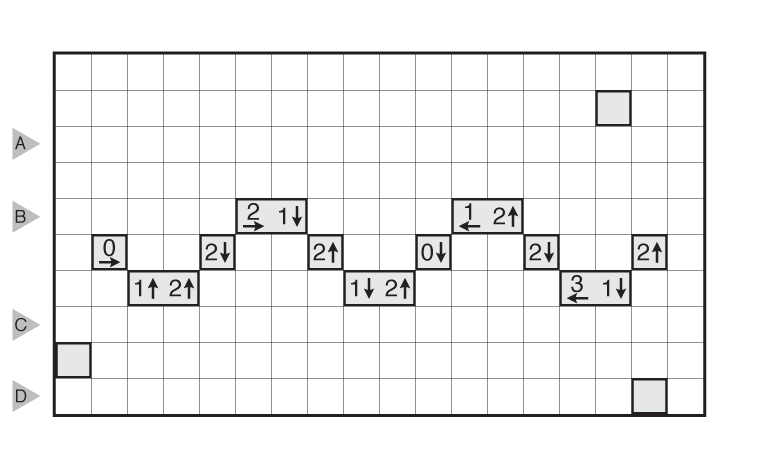 Author/Opus: This is the 293rd puzzle from our contributing puzzlemaster Grant Fikes. Author/Opus: This is the 5th puzzle from guest contributor Yunus Emre Büyükkale. 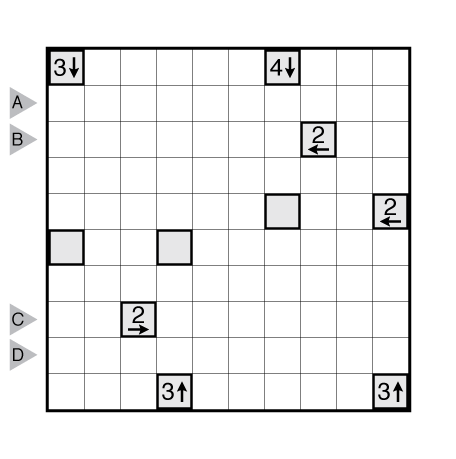 Author/Opus: This is the 241st puzzle from our contributing puzzlemaster Serkan Yürekli. Author/Opus: This is the 261st puzzle from our contributing puzzlemaster Grant Fikes.